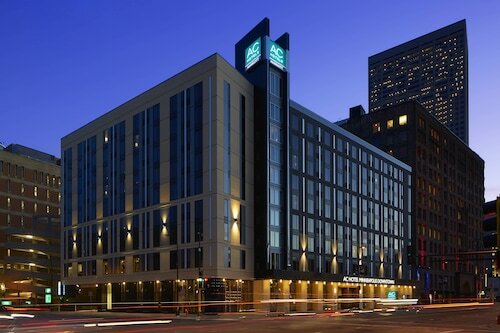 Looking for a hotel room close to State Theatre? We're sure you won't need much convincing to go see it in Minneapolis - St. Paul, as it's a lovely city to see in its own right. If you are looking to find a room near all the action, you'll have a variety of options. There are as many as 25 hotels and other accommodations within the vicinity of State Theatre. 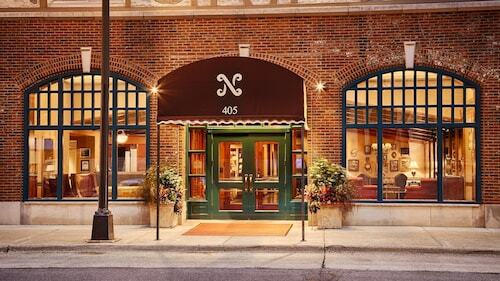 The Hotel Ivy, a Luxury Collection Hotel, Minneapolis, 0.4 miles (0.6 kilometers) away, is a good place to start. 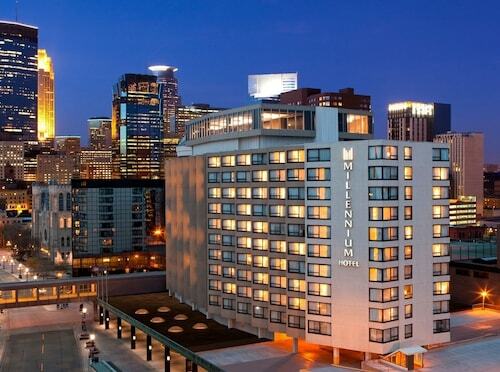 You may also like to check out the Residence Inn By Marriott Minneapolis Downtown, just 0.1 miles (0.2 kilometers) away, and the Loews Minneapolis Hotel, 0.2 miles (0.3 kilometers) away. If you are totally fine with basic but clean decor, you can book a room at one of the few budget hotels just a short drive away. You can inquire about the Days Inn Hotel on University and the University Inn. Visitors will appreciate an excellent range of premier services at the area's luxury establishments. 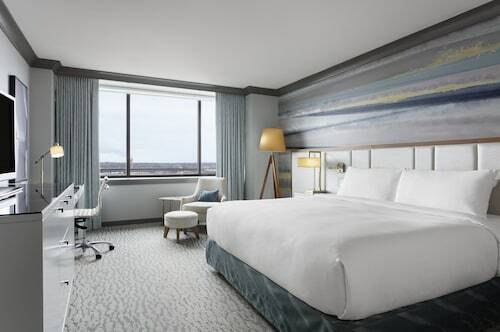 You can make inquiries at the Radisson Blu Minneapolis Downtown, a mere 0.1 miles (0.2 kilometers) away, or the Kimpton Grand Hotel Minneapolis, 0.4 miles (0.6 kilometers) away. Keep the energy levels high with some tempting snacks, refreshing drinks or your daily coffee at Dunn Brothers Coffee (LaSalle Plaza, 800 Lasalle Avenue #215, Minneapolis). For food that's a little more filling, ensure that you take your appetite to The Capital Grille (801 Hennepin Avenue, Minneapolis). Spice up your evenings and experience the local theater scene. Orpheum Theatre puts on a range of productions which you can attend. See a play at Skyway Theatre and watch the plot thicken! Enjoy watching the talented actors who perform at New Century Theatre and admire the amount of work which goes into the productions. Checking out a skyscraper is an important urban experience, and IDS Center is no different. Whether you're a fictional character, a local treasure or a sports hero, you know you've made it if you have your own statue! Visit Mary Tyler Moore Statue to see it up close. If you want a convenient way to see State Theatre, all you need to do is take the train to Target Field Station, 0.4 miles (0.6 kilometers) away. Hotels in State Theatre start at $95 per night. Prices and availability subject to change. Additional terms may apply.